Slain aid worker's parents say he chose to "believe in the good"
INDIANAPOLIS - The parents of an Indiana aid worker who was beheaded by ISIS militants said Monday their hearts are battered by their son's death but that they believe his life is proof "one person can make a difference." 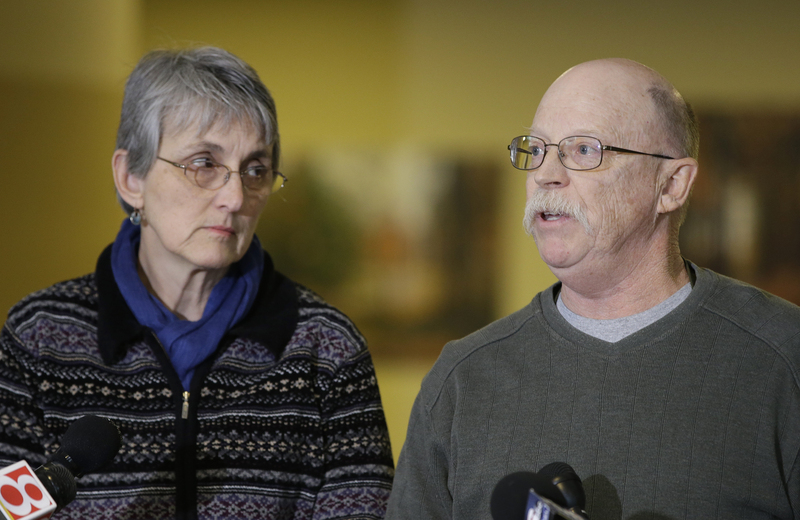 Ed and Paula Kassig of Indianapolis read a brief statement in their first public comments since learning Sunday that their 26-year-old son had been killed. "In 26 years, he has witnessed and experienced firsthand more of the harsh realities of life than most of us can imagine," Paula Kassig said of her son, Peter, who changed his first name to Abdul-Rahman after converting to Islam during captivity. "But rather than letting the darkness overwhelm him, he has chosen to believe in the good - in himself and in others. "Peter's life is evidence that he's been right all along - one person can make a difference." Kassig, a former Army Ranger, was captured Oct. 1, 2013, while delivering aid in Syria through a relief organization he founded. The Kassigs did not disclose his captivity while family and friends quietly worked to secure his release. In October, their son appeared in another video released by the Islamic State group that showed the beheading of a fellow aid worker, Britain's Alan Henning. The militants vowed that Kassig would be next, leading his parents to plead publicly for mercy while stressing his humanitarian work and conversion to Islam. The White House confirmed his death Sunday after ISIS released a video showing that Kassig had been beheaded. The video also showed the beheadings of about a dozen men identified as Syrian military officers and pilots. Unlike previous ISIS execution videos, Kassig does not address the camera and his captor is not in the same desolate desert location. This time he says he's in Dabiq, Northern Syria. The British accented executioner appears to be the same one who held American journalists James Foley and Steven Sotloff. He again issued a threat to President Obama. ISIS has now killed five Westerners it was holding. Kassig's slaying has been widely denounced, with the Islamic Society of North America calling it "barbaric and un-Islamic." "It's just mind-boggling, man's inhumanity to man," Indianapolis resident Maria Campbell said at Just Judy's Restaurant, not far from the Kassig home. "There are children over there that aren't being helped today with skill sets that he had, there are moms that will lose their children because this was done by some other group," she said. His parents asked for prayers for peace at sunset Monday and requested "the time and privacy to mourn, cry - and yes, forgive - and begin to heal." A memorial service in the Muslim and Christian faiths was being planned for this weekend.